Spring is definately here at last with the long awaited return of the fat and rehabilitated hogs back to the wild – Yaay!!!!!! 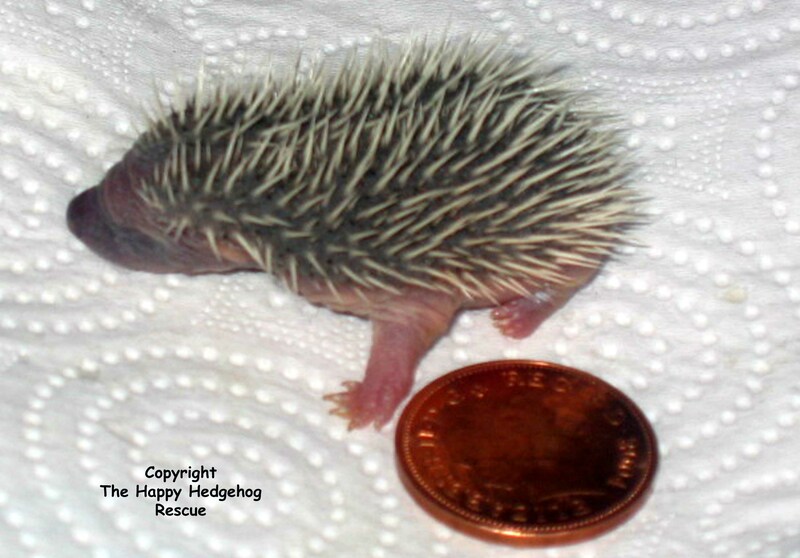 We are very lucky at HHR to have 4 teeny tweeny hoglets in residence. A mum in cage 13( no less )gave birth last Friday. Bit of a shock to the volunteer who found them lol! Quickly removed the other cage hog who on closer inspection was the dad. Mum was’t happy and didn’t like the hoglets at first but i persevered with her over a few hours and persuaded her to accept them, it was a tense time! Breast is Best and it’s no different for hedgehogs . They had just been born and the only real option for them to survive was mum. Glad she listened to me in the end and gave in. All are doing well and we are being extra quiet and leaving her alone for another week. Exciting stuff though!!!!! This is a pic of a young,un from last year to give you an idea of size. Michelle Hicks liked this on Facebook. Helen Putterford liked this on Facebook. Simona Millham liked this on Facebook. They are but my fave is when they are about 100g and a bit cheeky. Sherrie Warwick liked this on Facebook. Stephen Elliott liked this on Facebook. Sheila Jeffries liked this on Facebook.